Columbia University, New York. N. Y. The mathematical formula, by which Einstein calculated his predicted deflection of 1″.75 for light rays passing the edge of the sun, is a well known and simple formula of physical optics. In this formula he substituted an hypothetical “retardation” of light in its passage through a gravitational field; and this purely theoretical retardation is the sole new concept involved in the prediction. Not a single one of the fundamental concepts of varying time, of warped or twisted space, of simultaneity, or of the relativity of motion is in any way involved in Einstein’s prediction of, or formulas for the deflection of light. The many and elaborate eclipse expeditions have, therefore, been given a fictitious importance. Their results can neither prove, nor disprove the relativity theory: at the best their results can prove that light is retarded by gravitational action, and is retarded by a certain definite amount. But the actual results of the eclipse expeditions do not even prove this. Not a single expedition, so far reporting, has made use of effective checks or controls for eliminating the effects of temperature upon their instruments, or for determining the possible effects of abnormal atmospheric conditions during the eclipse. And further not a single party has made a systematic study of all the data obtained. 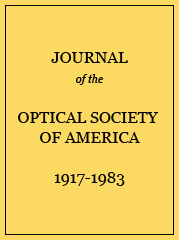 In the South American eclipse of 1919 less than 15% of the actual measured data wag used in obtaining the announced results: in the Australian eclipse of 1922 only about 50% of the data was used. All non-radial components of the actual measures were discarded as “accidental errors.” The radial components were then forced into a semblance of “exact accord with the requirements of the Einstein theory” through an assumption written into the methods and formulas of reduction: an assumption for which there is not the slightest observational evidence. In fact the only evidence available—the evidence furnished by independent check fields photographed on the eclipse plates—would seem to show that this basic assumption is utterly wrong. The actual stellar displacements, if real, do not show the slightest resemblance to the predicted Einstein deflections: they do not agree in direction, in size, or in the rate of decrease with distance from the sun.